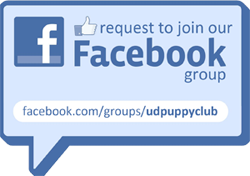 Puppy Raisers of the University of Delaware (PROUD) is a registered student organization at the University of Delaware that raises puppies for The Seeing Eye of Morristown, NJ. Check out PRoUD’s NowThis video featured by Kleenex here! For more upcoming meeting and events, check out our events page!